Sallys_Song's makeup astounded me. 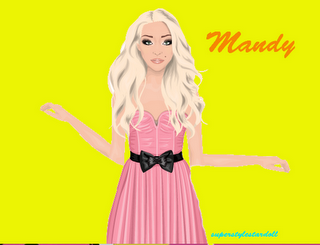 I've seen some pretty amazing color-blending skills on Stardoll but this girl takes the multi-colored cake! I love her color choice, and her Hotbuys Dress was a fantastic choice to accent her brightened look. Click here to see her amazing suite as well. You can tell she put some hard work into it, so be sure to comment her on it! Very classy.